Those of from the DMV who are engaged in seeking knowledge are certainly sad today with the knowledge that a voice of the people was silenced today. 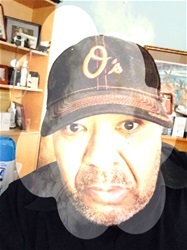 I mean I remember moving from Baltimore media market to the Washington media and having the pleasure of bringing Mr. Jim Vance into my living room on a daily basis. When I moved into the Washington Metro area in 1978, Jim Vance had already been in the anchor's seat for 5 years. He was the coolest cat I had ever seen deliver the news. His wardrobe and speech were a combination of urban street and Wall Street, of gritty life and pampering life but he was one of the most dynamic personalities in the media market. He had the flair of Sidney Poitier and magnetism of John Shaft. We lived through his travails, Jim Vance wasn't perfect but he defined his blackness. He also never denied his blackness. He was the black spokesman of the community when Chocolate City reigned supreme. 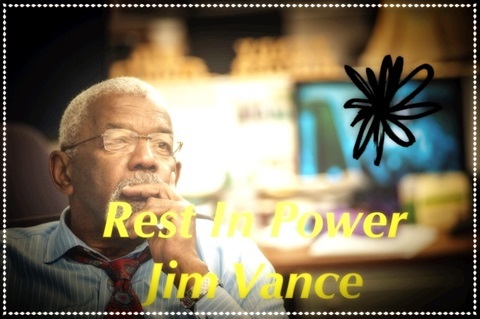 Jim Vance was here, there, and seemingly everywhere the news was happening. He was more than a news card reader. He generated a sense of faith that he couldn't be bought or sold. His job was to bring the truth no matter the outcome. People have said you can't trust media news but I had a real sense that didn't apply to Jim Vance. So, when I read he had lost his battle against cancer today. I was indeed saddened to read that news. You see before news became this 24 hour, 7 day a week travesty. I had the pleasure of being taught at the foot steps of master in my living room. Rest in awesome power Jim Vance, for those of you who never had the opportunity to hear Mr. Jim Vance perform his magic your loss is immeasurable. I will be forever indebted to the accuracy of his accountability to truth.